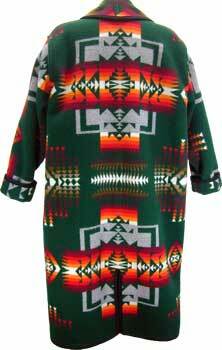 Flair Blouse Navajo Spirit Southwestern brings you a fun print top. This versatile blouse is comfortable, either out or tuck it in. Loose flowing design to keep your cool on those hot weather days. Soft Rayon Print. Our styles are influenced b.. Skirt from Tsaile Set Navajo Spirit Southwestern original. 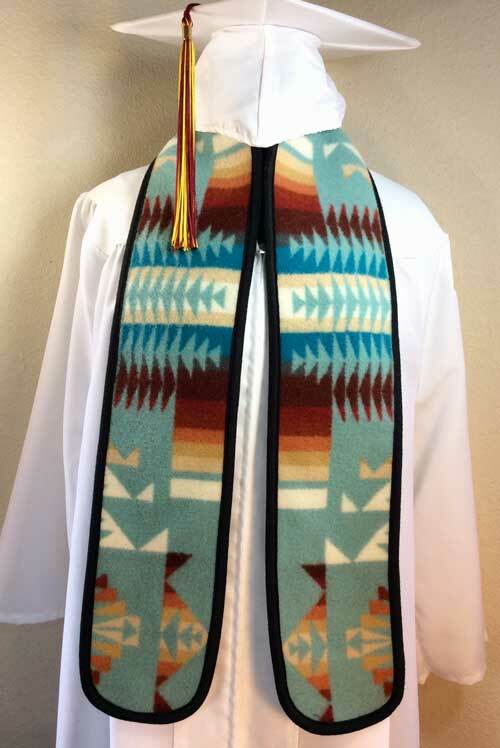 What a beautiful backdrop for your wonderful Concho Belt. 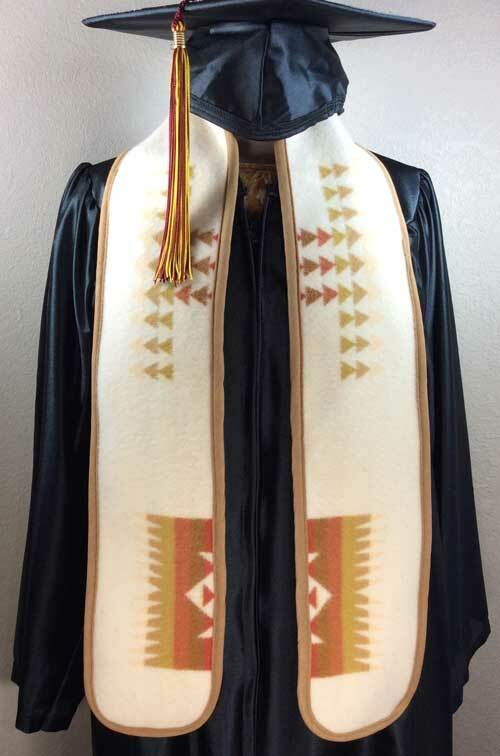 This is comfortable flowing natural cotton gauze fabric content to keep your cool on those hot summer days. 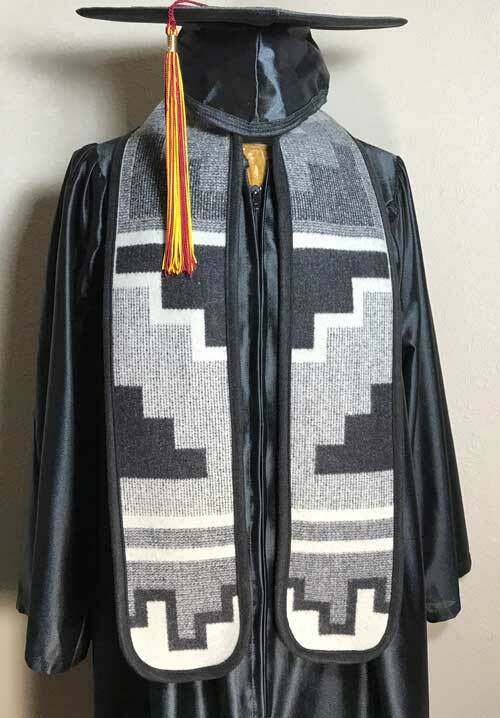 Elastic wais..
NAVAJO SPIRIT GRADUATION STOLE Dress up your Graduation Gown for your once in a life time event. 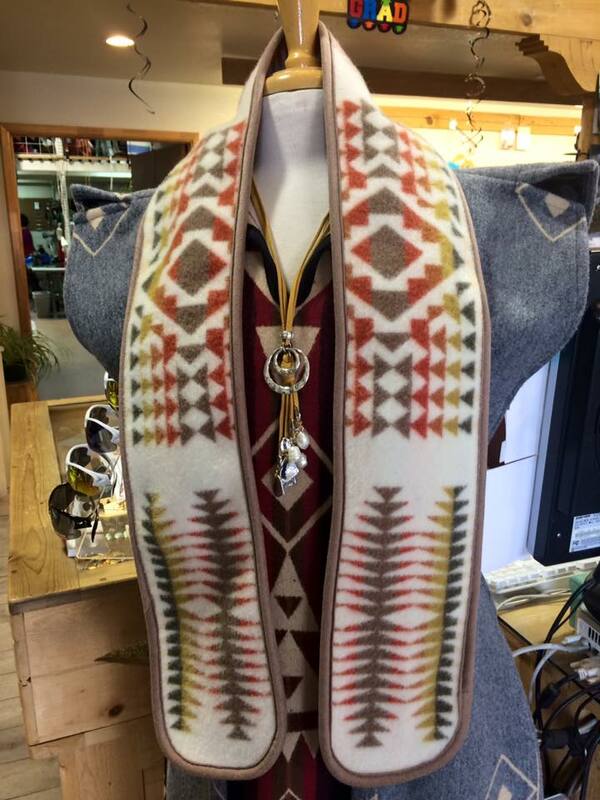 Navajo Spirit original fashioned from Pendleton blankets. 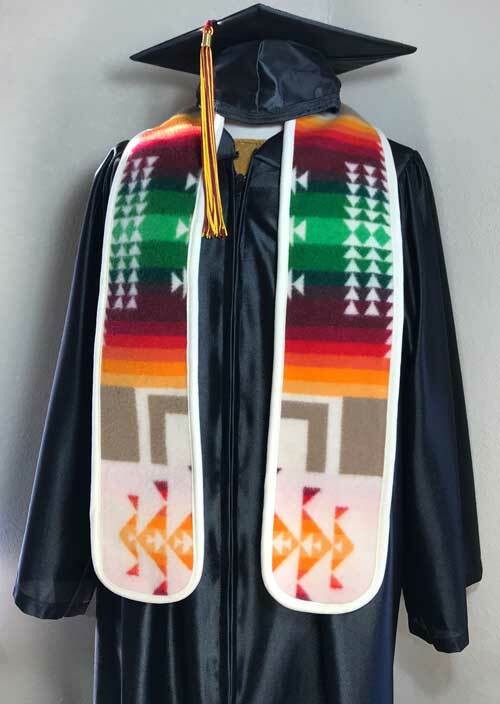 Phone 800 377-6837 for colors available to coordinate with your gown if not listed, so our sta..
NAVAJO SPIRIT GRADUATION STOLE Dress up your Graduation Gown for your once in a lifetime event. 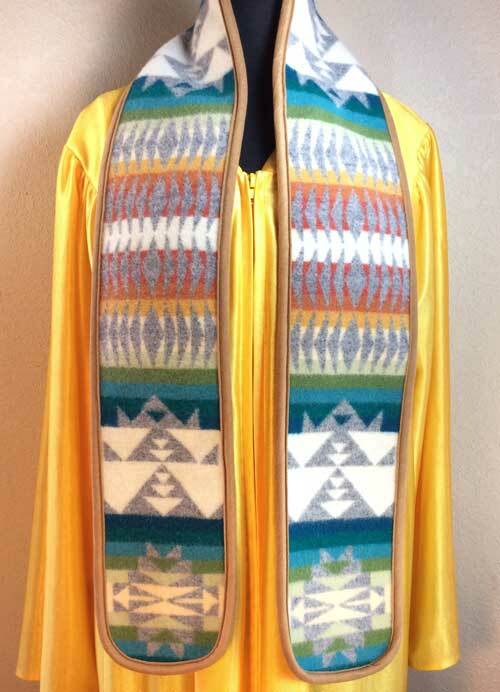 Navajo Spirit original, fashioned from Pendleton Mills blankets. 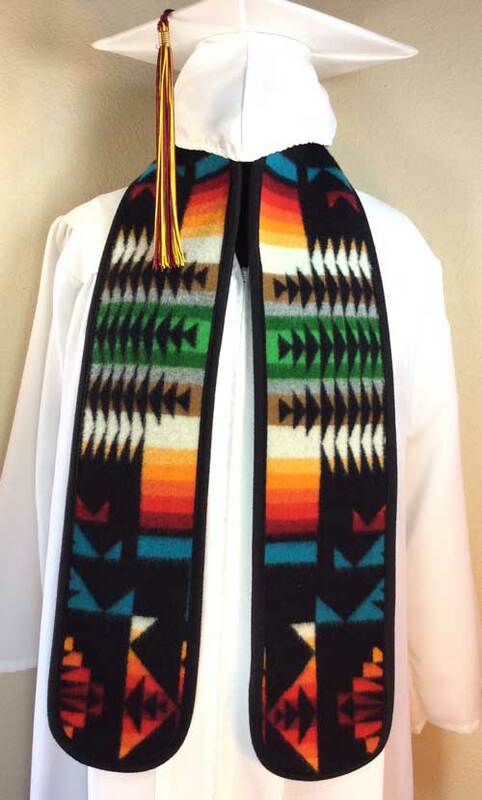 Blanket pattern is reversible, two sides are shown. One of a kind. When sold, no longer ..